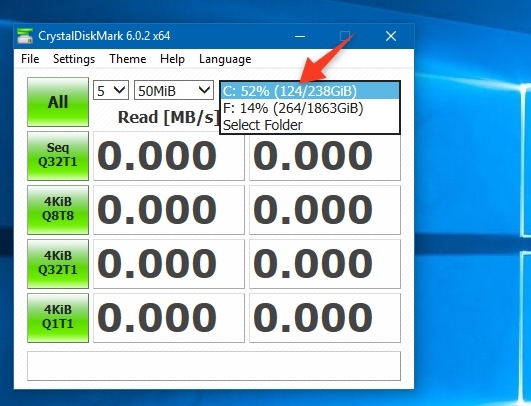 Why You Should Check Your Drive's Speeds? Nowadays there are several type of storage devices available for your computer. There are hard drives, standard solid state drives (SSD), and M.2 NVME drives. Each type has different speeds. What is more, some brands may manufacturer better drives than others. 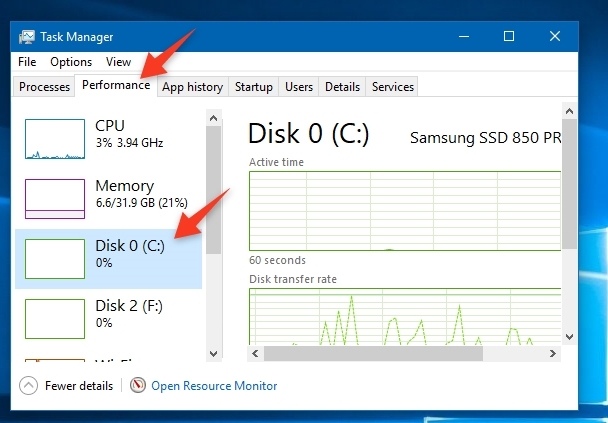 So, to make sure you are getting the most performance for your money, it is important to check the actual speeds of your SSD. 1. Task Manager: This tells you the live read and write speeds. 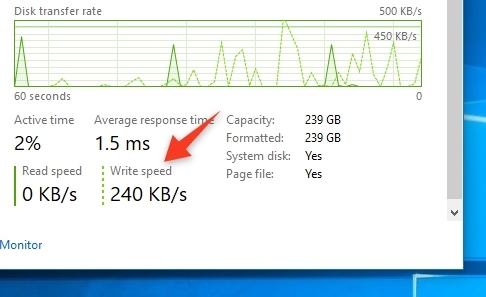 The speeds you see from the Task Manager depends on what you are doing now. So, if you aren't doing heavy tasks, the speeds will be low. 2. 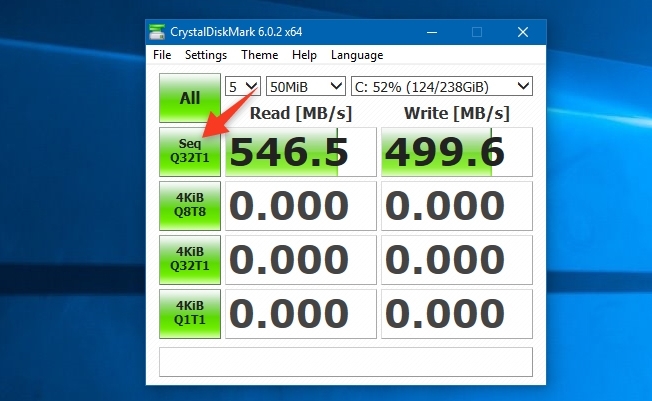 CrystalDiskMark: This app allows you to see the maximum speeds of your SSD. By using it along with the Task Manager,you will get a good idea of your system's performance. 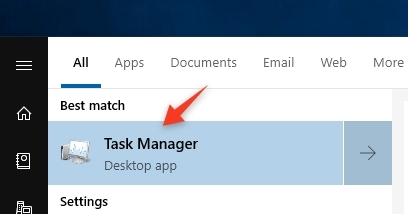 Type Task Manager in the search field. 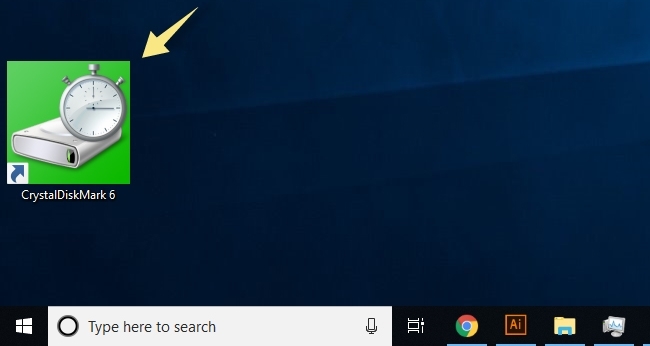 Select Task Manager from the search results. 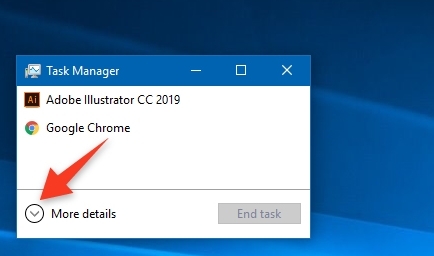 Click More details if the Task Manager appears as a small window. Select your SSD. In this case, it is the C: drive. Go to the bottom and then you will see the live read and write speeds. Select a drive. Of course, it would be the C: drive again. Click All or Seq to check the maximum speeds.